American Express has a great portfolio of small business cards, that often have increased welcome bonuses. In this post I wanted to talk about the offers, the general advantages of applying for Amex business cards, and how to go about completing the application. Those who already have business credit cards are probably familiar with the application process, but for those who aren’t, here’s what you need to know. In terms of years in business, there’s no shame in saying it has been less than a year, 1-2 years, etc. While a lot of people are intimidated by applying for their first business card, I think most are pleasantly surprised at the results. Again, the most important thing is to always be truthful on the application. American Express business cards can be very beneficial additions to your wallet, so hopefully this is useful for anyone who hasn’t yet applied for an Amex business cards. You mention credit won’t be pulled for existing cardmembers, is that for existing Business Card members or any Amex? I have a personal Amex Hilton Ascend card and applied for the Amex Hilton Business card a few months later but received a hard inquiry on my report, despite being an existing Amex cardmember. @ Jannis — Did you get approved? The point was that there’s initially no inquiry, so if you get denied there should be no pull on your credit. Then if you’re approved conditionally there will still be a pull to make sure no major factors have changed. Sorry, realized that after I hit submit! Yeah, I did get approved :-). Good to know it won’t hurt my report if an application gets denied though. I applied for the Hilton ascend business two weeks ago,100k points, no af and $50 back. Currently I’m existing amex card holder, I have the gold premier and there was no pull on my reports. Thanks for the info. I have been loading up on AMEX Bus cards (while i give my wife the personal cards) and I will be under 5/24 in December. I never thought that would happen. I referred my SPG business card to my twin girls through text message link, the app asked them to log in for a slim version application, total income name of business very simple stuff, BOTH got instant approval! 100k points each and 20k referral bonus to me. I’ll help them on the minimum spend, buying furniture and appliances $5k x’s 2.
more players now that they are 18, I’ll have them apply for a chase card after a December, the freedom card they got was difficult with no real credit history just my cards as a/u’s. Some notes, 18 years old 8 months of real credit history, 780 FiCo, income $15k credit line(s) $500 freedom 7m, $2k everyday 8m, $2k IT 8m, $9.9k SPG personal 4m and now $10k SPG business 1hour, both girls have exactly same credit (twins) AMEX is by far the most generous so far, chase tightest. I put them as a authorized users on my oldest card discover with a high limit when they was just 16 years old, that surely helped. I can confirm there is a hard limit at 5 cards. I thought business cards didn’t count so applied for my 6th. They called and said I had to cancel one in order to add one. I had 2 business and 3 personal at the time. I want to expand my business and I need at list 15K to do it. Which Amex do you recommend to me? Blue Business or Simply Plus? Do you think I have chances to get some decent credit limit as my first business credit card? Strange that my favorite card has my lowest line. As a business card, which one you think I could have a better chance? SPG business card gave me $17.5k few years ago, my kids both 18 years old got $10k each with 750+ FiCo $17.5k income. 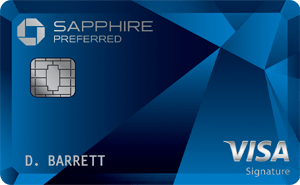 In my little experience with Amex they like to give 1/2 of your total income as a whole credit line BUT my girls just got 60%+ on just 1 new card, the other 2 (personal SPG) $6.9k and every day $3k. 2x’s credit line to income ratio, yes crazy for a couple of teens but they did it. Kids Time line: SPG business mid August, personal card(s) all spring this year.